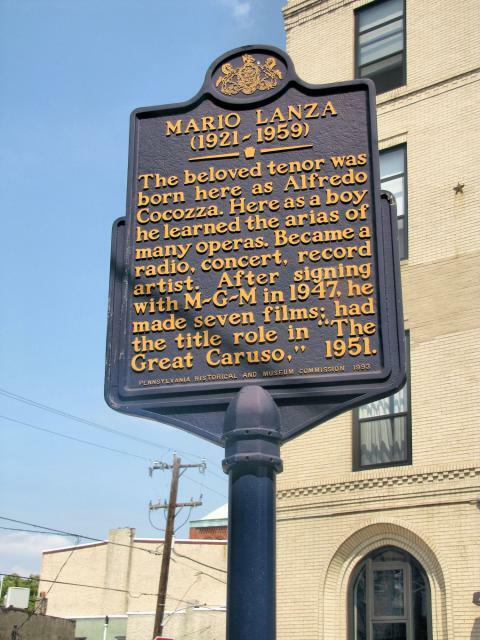 The beloved tenor was born here as Alfredo Cocozza. Here as a boy he learned the arias of many operas. Became a radio, concert, record artist. After signing with M-G-M in 1947, he made seven films; had the title role in "The Great Caruso," in 1951. This marker can also be identified by its HM code. You can use the hashtag #HM1JN2 in tweets, and any other place where you might refer to this marker, including when searching on this site.